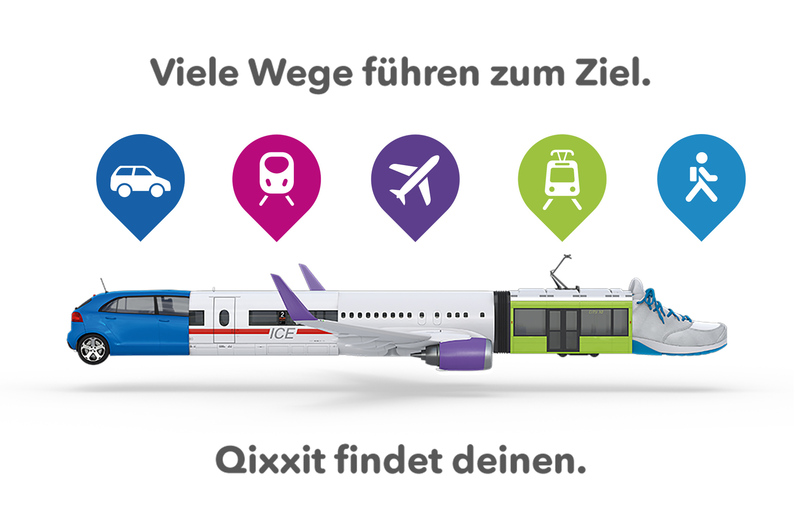 Collaboration on the design of a family of icons for the mobility portal Qixxit launched by the German railways. 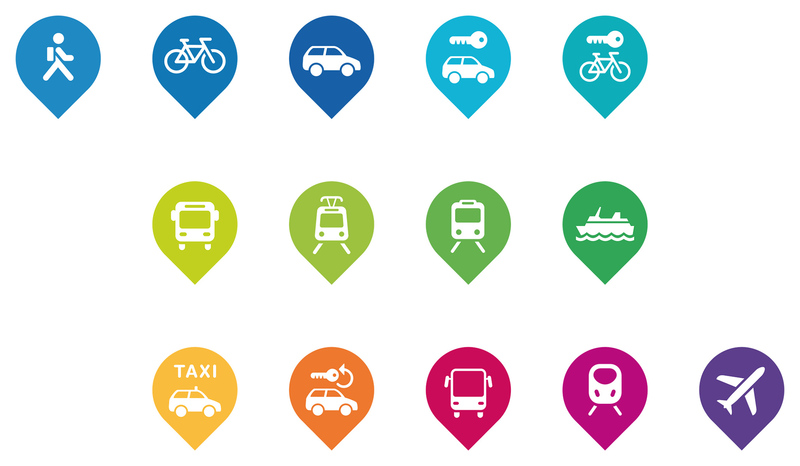 The icons are used in the Qixxit website and app, which allows the user to display alternative travelling itineraries and configure them individually by time, costs, means of transport und CO₂ emissions. 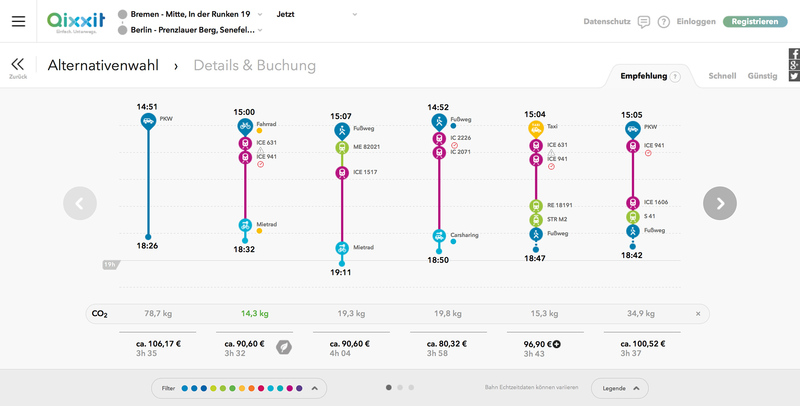 Besides they are used as part of the corporate design for different marketing visuals.